DSM Infocom Walkin Recruitment | Network Engineer Jobs in Mumbai | Drive On 24th and 25th July 2017. Recently the DSM Infocom had issued a recruitment notification for Network Engineer openings in the company. The DSM is going to conduct the walkin recruitment for the candidates in Mumbai location on 24th and 25th July 2017. Contenders who had interest and dream to shine their career in the Hardware & Networking field can utilize this chance. Aspirants who had possessed Graduation can attend for the DSM Infocom Walkin Drive which is going to held in Mumbai location. Job seekers have to prepare well for the Interview Process so for the sake of the contenders we are providing the DSM Infocom Test Pattern on our website All India Jobs. Candidates can attend for the DSM Infocom Walkin Drive on the mentioned dates. The candidates who had cleared the interview process will be selected for the Field Engineer role. To give the interview process in an effective manner candidates have to check the DSM Infocom Model Papers and DSM Infocom Test Pattern. Nowadays all the candidates are showing interest in Hardware field. For those candidates, this is a wonderful opportunity to fulfill their dream of securing a job in the reputed company like DSM Infocom. Qualified and eligible Freshers and Experienced contenders can attend for the latest Walkin in Mumbai. Candidates can get the entire info about the DSM Infocom Walkin Drive by scrolling down this page. Engineers are ready to hand carry router from warehouse & carry to given site for installation & configuration. Traveling experience & mobile charges will be paid by the company. Salary: Rs.12000/- per month + Travelling + Mobile. Experience: Fresher to 2 Years. Qualification: Graduate, Under Graduates with CCNA, networking knowledge. Location: All Mumbai (Ready to travel 100 km). DSM Infocom Pvt Ltd formed in the year 2004, is a Privately held Limited Liability Company. We have authorized partners which include Cisco, Tyco, HP, Posiflex, Eaton, Airtel, Lenovo, Wipro, Dlink & Tally. We have Service Contracts with over 85 Clients across India and strategic partners include global majors such as HP, IBM, Wipro, Diebold, NCR, TCS, Bharti, TCBIL etc. 99% customers renew relationship every year. DSM has a team of over 2000 certified engineers with the presence in 459 cities, 28 states across India. 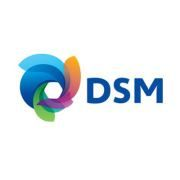 DSM also have the presence in 78 Countries. DSM service portfolio includes Network Infrastructure Installation & Management, ATM Maintenance Services, System Integration, Project Management, Facility Management Services, BPO services & Applications. Contenders who are interested in working with DSM Infocom for the position of Network Administrator must utilize this opportunity and enhance a better career. Aspirants who are willing to get settle in Mumbai location can attend for this DSM Infocom recruitment drive at mentioned venue. Kalyan Shil Road Dombvali (E). We hope the information on DSM Infocom Walkin Recruitment is useful for the job seekers. Qualified and eligible contenders can attend for the job vacancies in Mumbai on 24th and 25th July 2017.